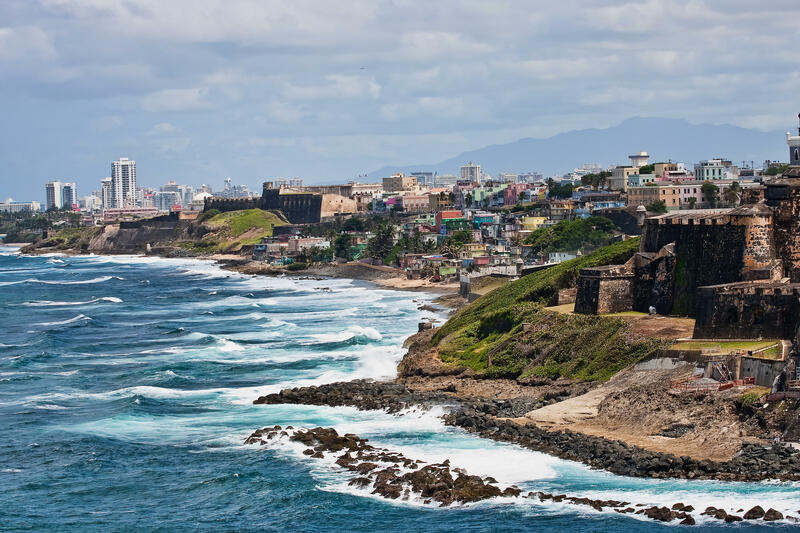 Cenas Empresariales is the bridge between Puerto Rico's new generation of doers, the island's serial entrepreneurs, and the world's most influential changemakers. Every three months we select Puerto Rico's top talent and congregate them under one roof. Are you hungry for innovation? Bring your appetite because that is exactly what we are serving. Raphael is a serial entrepreneur and online marketing consultant. He’s the founder of Splitbase.io, which helps companies grow and increase website revenues. He blogs regularly on the topic on both his site, raphaelpaulindaigle.com, and on other notable industry blogs. Over the last year, he was awarded a national award by Kevin O'Leary, organized bitcoin events in both the USA and Canada, and was invited to talk in many corners of the world from NYC, Las Vegas to Lebanon. During the Spring of 2014, he founded a bitcoin consultancy that helped companies understand and integrate bitcoin. Fast-forward to November of that year, he was recruited by the CEO of Blockstream, one of the most important company in the bitcoin world, to work on special projects. His entrepreneurial journey started at the age of 11 years old: passionate about magic, he began performing for 7 years. While he was still in middle and high school, he performed close to 400 magic show for all types of events. Christine is a communicator, a network-waver, and a catalyst for change. She is the first Entrepreneur-in-Residence for Florida State University’s College of Communication and Information. She is also a StartingBloc Fellow, a non-profit organization that brings together entrepreneurs, activists, educators, and innovators working to create change. Previously, Christine was a program associate for the Robert Wood Johnson Foundation in Princeton, NJ. She joined the Foundation’s Pioneer Portfolio in December 2011 to help source new ideas, design and manage grants and provide strategic thinking for the team’s network. She helped the team identify innovations in health and health care by connecting with people who were not part of the traditional health care system. Christine represented the Foundation at various high-visibility gatherings, including TED, WIRED, SparkCamp, and Hispanicize. She became the Foundation's Spanish-speaking spokesperson for several national health initiatives, including the County Health Rankings & Roadmaps. After a bad accident where he had to be resuscitated, Romain decided he would pursue a journey worth living. Since then, he spent years building a business doomed to fail, published his children's book communicating climate change to younger audiences, and traveled the world with Unreasonable at Sea, a social entrepreneurship accelerator, helping 9 ventures scale globally. Ocean Pleasant, is the Founding Editor-in-Chief of REAL Magazine. Ocean Pleasant, 18, is the Founding Editor-in-Chief of REAL, a national youth culture publication. She works to inspire the next generation while interviewing outstanding organizations and individuals, including His Holiness The Dalai Lama and Alicia Keys. She is the Assistant Editor of ORIGIN Magazine, Mantra Yoga + Health and Thrive, and an Ambassador of the Global Youth Peace Summit. Ocean was awarded the prestigious 2015 Thiel Fellowship, a $100,000 grant by Peter Thiel (Cofounder, PayPal) to pursue her entrepreneurial endeavors, including her latest project, a "Platonic Tinder for Social Activism" that will align like minded millennials with volunteer opportunities. Ocean engages in humanitarian pursuits from New Delhi to Nairobi, and is a Singer-Songwriter; she recently released of her first single and music video, "Love Letter to Myself (I Will Love)." Justin is an experienced entrepreneur, consultant, speaker, and forthcoming author. Justin begin his adventure with the creation of Students4Students College Advisory, a full-service higher education consulting agency. After his acceptance to the Wharton School of Business at the University of Pennsylvania, Justin noticed the development of an interesting paradox in the upper echelon admission process. After months of research, Justin oversaw the growth of S4S from a hometown startup to a multinational conglomerate, servicing clients from NY to Cairo to Switzerland. S4S helped students across the globe gain admission to Harvard, Yale, Princeton, Columbia, and more. Enjoying his experience helping youth maximize their potential, Justin wanted to further leverage the power of young people. Millennial Marketing Strategy was born, an international digital marketing consulting group. MMS supports small to medium sized businesses and entrepreneurs grow online...fast. Over 30 employees and contractors support the growth of MMS - with the oldest employee age 22. Passionate about connecting youth, Justin is the curator of the Next Gen Summit, an environment for young entrepreneurs to connect, collaborate, and inspire. It's a place where young entrepreneurs can come together to get all of the resources they need to be successful: education, investment, social capital and inspiration. At NGS 2015, startups raised close to $1,000,000, dozens of partnerships were formed, and lives were truly impacted. Vice President of Watson University and author of Matteo's Day Off. Serial Entrepreneur, former magician, and now online marketing consultant. He helps companies grow. Thiel Fellow, Founding-Editor-In-Chief of REAL Magazine and VEVO singer-sogwritter. UnCollege Fellow, Founder of BoneBroth Co. , Mark Cuban Companies. Serial Entrepreneur, Founder of MMS and Co-Founder of The Next Generation Summit. THEY HAVE RAISED CAPITAL, WORKED WITH FORTUNE 100 COMPANIES, AND HAVE HACKED THEIR EDUCATION. Thiel Fellow, Founder of Sprout and Onboard IQ. YCombinator Fellow. Hardworking, inspirational, and ambitious changemakers here to stimulate Puerto Rico's entrepreneurial ecosytem. Kick off! Get to know the team behind Cenas Empresariales, a status report of Puerto Rico's entrepreneurial ecosystem, and the night to come! Coffee Break! Enjoy Puerto Rico's finest coffee and treats with a nifty opportunity to connect and network with locals and appreciate musical talent from our island. 15 breakout sessions of pure awesomeness! Each sessions will last 30 minuntes and will be led by local serial entrepreneurs, investors, professors, and doers. Pick and choose to which talks you wish to go and design your own schedule. Sessions will be on the topics of criptocurrency, sustainabillity, IoT, BioMed, 3D Printing, Travel Hacking, & many others. Join us for a formal sitdown dinner. We'll sit you with fellow doers who are attending the event and include 2 local mentors and doers to start unique conversations with. After one whole day of epicness, working hard must be balanced by playing harder. Meet up after dinner with all the speakers and attendees and enjoy the nightlife Condado/SanJuan has to offer.